Hello readers! I’m beyond honored to have the opportunity to write on Rachel’s blog. 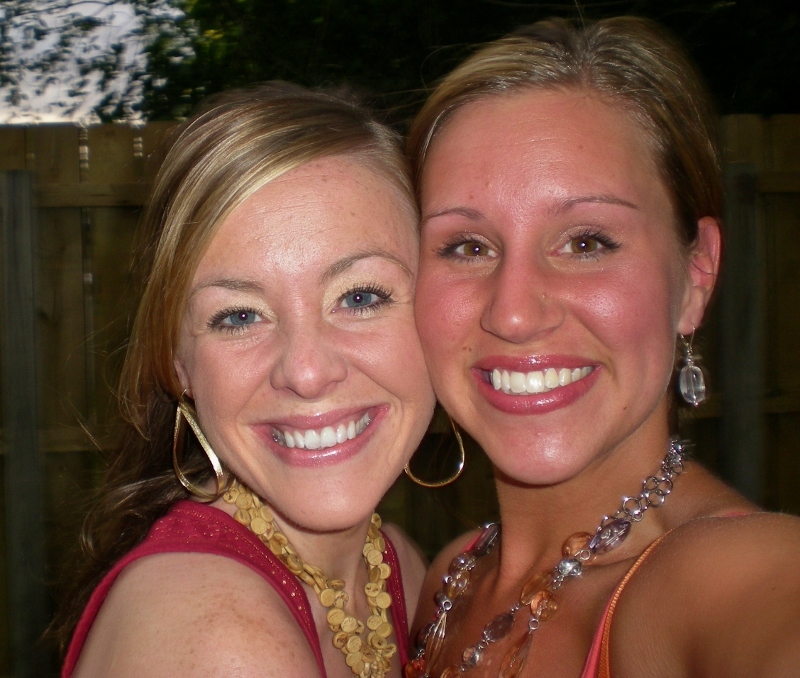 Rachel and I have been best friends since we met in the hallways at Northwestern College back in 2000. From the early days of freshman year where we thought it might be entertaining to take a Friday night and dine at McDonald’s in our high school prom dresses, to spending all of our flex money on whole pints of Ben and Jerry’s ice cream, to planning our weddings, and finally, starting our families, we’ve gone through most of our big life changes together. She’s loyal to the core, funny, steadfast, encouraging and one of the best people I know. I’m thankful for her desire to encourage others by sharing her life joys and struggles through her beautiful writing, and am delighted to share my own journey with self-care as a Fellow Passenger. 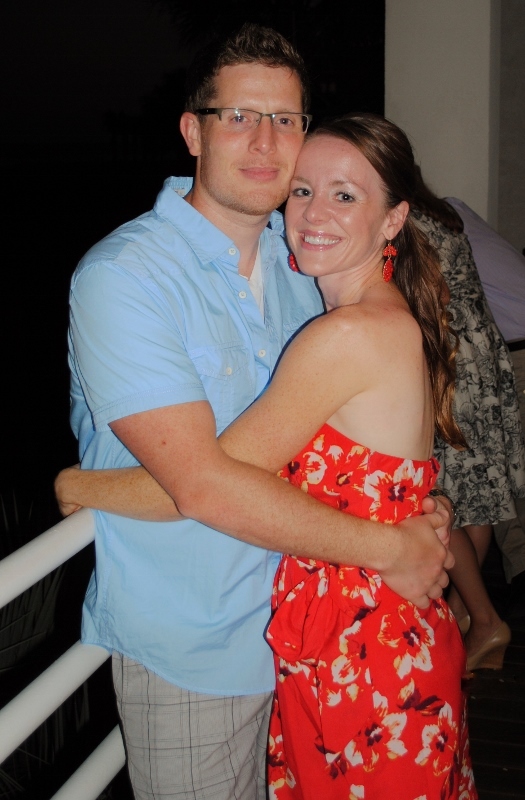 A little bit about me: I am a stay-at-home-mom of two beautiful children (Jameson-3.5 years and Lila-9 months), I have been married to my dear husband Brad for almost 9 years and live in a quaint riverside town called Marine on St. Croix. We spend our days going on adventures around our village, reading books, and naturally, pretending to be some kind of prehistoric creature. The past year has been something of a whirlwind for our family. In July 2012, we made a decision to downsize from our house in Roseville, MN, as we were hoping to have more children and my desire to stay at home with them wasn’t financially possible. After 3 1/2 months, we had a purchase agreement on our house and sold it in December of 2012. We spent most of 2013 paying off debt, looking for homes, and saving money by living with my dear in-laws who housed us for 9 months. We moved into temporary housing for a couple of months starting in September of 2013, and finally closed on our home in November. Needless to say, 2013 was a tough year; a baby on the way, homeless for nearly 11 months and house hunting. I found out quickly the transient life was not for me. In addition to all of this, I was dealing with anxiety / postpartum depression, and it was in full force about a month after Lila was born. Self care at that time felt difficult to nearly impossible, but it was something I had to start prioritizing or else I was going to sink. Today, I’ll share on a few different areas that have helped me in balancing my own care routine: Exercise, Counseling /Prayer, Caring for my own Interests and Simplification. This isn’t new information, but exercising daily is proven to reduce stress levels, boost happy chemicals, help prevent cognitive decline, boost brain power, sharpen memory, tap into creativity, and get more done. My exercise goals right now basically include getting some movement in every day. Baby steps. We have a P.O. box in town since mail doesn’t get delivered to our street address. This offers us one daily errand that requires a short walk of about 8 blocks or so. It’s a small but effective way to get out of the house and move around, especially if I’m pushing a 40 pound toddler in a stroller or hauling a 20 pound infant in my backpack, or both. For the past couple of years, I have been seeking treatment for OCD / Anxiety through a couple of different Christian counselors, as well as a Christian Psychiatrist. Being a believer in Jesus, it was really important to incorporate my faith walk into my mental health. I wholeheartedly believe that mental health and spiritual health are connected. In addition, I have a group of friends/family members who pray for me and who I know will be there to encourage me through the struggle. Having a circle of prayer support is crucial for me as I continue in the battle. Music is a huge love for me and one that’s very important to incorporate into my life as much as possible. A few years ago, my husband and I bought a piano off of Craigslist for $50. Most days, the kiddos and I will sing songs and play around with music for maybe 30-45 minutes. It’s a way for me to do something I love and have an outlet for my own creativity, but it also teaches my kids about the importance of music and helps them learn through song. I realized pretty early on after having kids that I wanted to stay home with them. Unfortunately, our mortgage didn’t coincide with that desire. If I was going to give up my job, something else would have to give. We needed less. Less mortgage, less debt, less stress, just less. We sold our home and did what we set out to do, just 12 short months afterward. Today, we are basically debt free and finally settled in a house that we can afford on one salary. By simplifying our financial life, we’ve been able to care for ourselves and also our children more effectively. It’s easy to see what a strong impact that properly caring for yourself has on those around you. You’ve just got to make the time to do it. My therapist reminded me that our children see us as a reflection of who they are. When I stopped to think about that, it struck me. If I’m not actively working on making the best version of myself that I possibly can, what will I be reflecting to my children? What am I saying about who I am and who they are? Ultimately, I want to exemplify the spirit of someone who can laugh easily, love deeply, and trust the God whom I serve that he made something beautiful when He created me. Only then will I be able to be that reflection of God’s grace and mercy at work. You know how there are some people in your life that you really, truly ADMIRE? My friend and writing group compatriot Jackie (www.jackieleasommers.com) is one of those people. Each month when our group meets, Jackie emails us beautiful word documents full of ideas and people and story. She has made writing a practice, and turned her practice into art. She’s also learned a lot about the necessity of self-care in her creative process, and I’m really happy to share her ideas on the subject with you today. I love to write. That love is one of the biggest pieces of my identity, and I feel so deep-seated in the will of God when I write that I experience an overwhelming peace in addition to the excitement I have over the joy of creation. I’ve been writing nearly my whole life, chasing the dream of publication, enlisting the help of Rachel and the other members of our writing critique group, shelling out hard-earned dollars to attend workshops and conferences and to elicit the help of professionals, and it all paid off when my debut novel Truest sold in a pre-empt in November 2013. It’s a dream come true, really: a two-book contract with HarperCollins, one of the world’s largest publishing companies. I was speechless when my agent called to tell me the good news, delighted when my new editor at Katherine Tegen Books gushed about my characters. I was thrilled to share my news with friends, family, co-workers, blog readers. My life was sunbeams and rainbows and kittens. Reality set in quickly. First, I dove into writing the second book, finding the experience unrecognizably different from the writing of Truest. I started floundering, terrified that I was a one-trick pony who would never write another decent paragraph. The self-doubt poured into my life so quickly that I was drowning before I had barely recognized what was happening. I had four almost panic attacks in three months, and the fear of the future and the fear of failure were deep. Then came the first round of revisions to Truest, the first set a harrowing six weeks of intense brainstorming and rewriting that would utterly exhaust me as if I’d run a marathon without training for it first. All of this was changing something profound about my identity: I wasn’t enjoying writing anymore. When I recognized that, it understandably concerned me. I knew I had to find some solid ground again so that I could turn my anxiety-ridden pursuits back into a treasured vocation. Psychiatrist. I made an immediate appointment with my psychiatrist. I explained the stress and panic I’d been feeling and asked for something to combat those chemical reactions in my body. Reminders. I read and re-read my First Draft Manifesto, to remind myself that writing is hard. Mentoring. I scheduled a coffee date with my undergraduate writing mentor and let her fill my head and heart with wisdom about the writing life. I also wrote crazed emails to my writing group, and let their replies work like a balm to my heart. Therapy. I met with a therapist, and though I only went once, he made the brutal observation that I had to cut something out of my life, so I removed my email address (temporarily) from my website. This made a bigger difference than you might guess. Encouragement and prayer. I created a private, invisible “Jackie’s Team” group on Facebook, and populated it with people who would pray for me and the books I was writing. Rest. I allowed myself many, many naps—and even made a point to schedule them into my hectic writing schedule. Prioritization. I limited my social time to a very small, intimate group of friends and was very up-front with others that I wouldn’t be able to hang out for the time being. FutureMe.org.On this site, you can send emails to your future self, and it’s a calming way that I could effectively reach out to a future where I was not as stressed as I currently was. Thus I was kept afloat. Or, better put, I am still being kept afloat. I just recently finished my first round of edits to Truest, and I actually feel good about them. I am about to dive back into my first draft of book two, and I’m excited about it. I feel like I have joy and perspective and faith again. I used to think it was weak to need special self-care; now I realize that it is smart. By addressing areas where I could help myself, I was able to more quickly get back to enjoying my vocation, reveling in the blessedness of what I am called to do. Jackie Lea Sommers lives and loves and writes in Minneapolis and can be found online at www.jackieleasommers.com and @jackieleawrites. Hey Everyone! I’m really excited to share this week’s Make Care Take Care guest post from Amber Kuiper over at Mommy’s Me Time. Amber has a great way of encouraging and making me feel really stoked about being a mama (not always an easy task on rough days.) 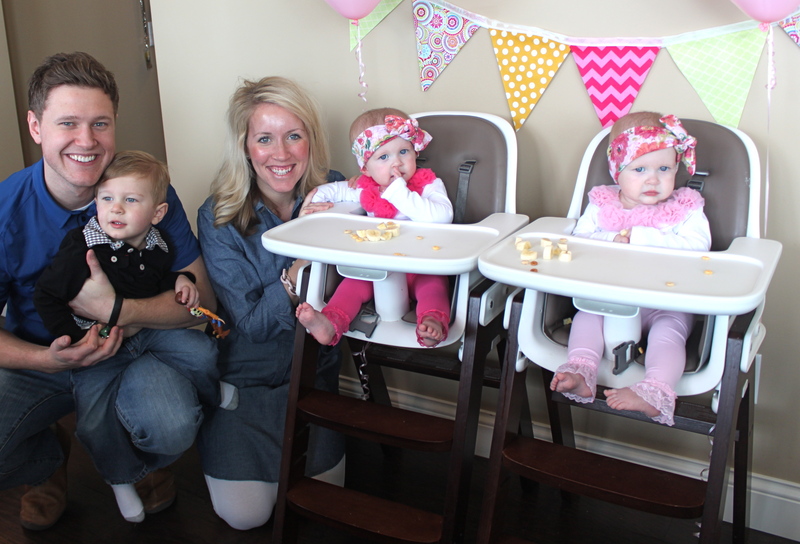 And she’s not just saying it – as mom to a toddler, twins who just turned one, and a baby due in September, she’s in the glorious thick of motherhood – and she’s living and loving it. Here are her thoughts on prioritizing self-care. Hello Fellow Passengers readers! I’m so excited to have the chance to chat with you today. When Rachel and I randomly met in the bathroom at a mom’s night out a few months ago, I’m pretty sure it was fate. After a few sentences, we learned that we both had a toddler and twin babies at home. Our friendship was a match made in heaven. One of the things we talked about that night was how wonderful it was to be out of the house BY OURSELVES. We didn’t have to think about high chairs or messy fingers or having to rush home to get them to bed on time. We simply had the night to relax without wearing our mom hats. We could just be us. I have to admit though, sometimes it can be easy to forget who I really am. I stay at home with my kids who are all two and under, so most of my conversations are about toy airplanes, pooping on the potty and peek-a-boo! My days are spent singing nursery rhymes, pretending I’m Lightning McQueen, and changing endless dirty diapers. When I actually have the opportunity to have an adult conversation it can feel really awkward, unless I’m talking about my kids. As moms, we give and give and give to our families. We love our kids so much that we’re willing to do whatever it takes for them to be happy and content. When they need us in the middle of the night, we’re there. When they wake up early in the morning, we scoop them up in our arms and cuddle. When they’re hungry, we make sure to fill up their little tummies. From the little things to the big things, we do it all. We provide for their every need. We oftentimes don’t even think about how much of ourselves we’re pouring out because we simply view it as doing what needs to be done. At some point though, I think we’ve all felt empty. But instead of acknowledging that we need to be filled up, it can be easy to beat ourselves up and feel inadequate. We feel overwhelmed, defeated, and alone. We look around and everyone else seems to be painting a picture of their perfect little lives. We wonder why our life doesn’t feel like that. The truth is, none of us have a perfect life, and none of us can do it all. We weren’t designed to! Perhaps one of the most important things I’ve learned since becoming a mom is how important it is to humble myself and ask for help. It isn’t easy, because for some reason we think we should be able to do it on our own. But that just isn’t realistic or healthy. We all need breaks. We need time away from our kids to reflect on who we are. We need to remember what we loved doing before kids, what fills us up and makes us have more love to give to our families. If you’ve been on an airplane, you likely remember hearing this phrase from the flight crew before take-off. Mommas, we need to be breathing if we want our kids to be breathing. We shouldn’t be grasping for air. When we’re filled up, we’re able to be the best moms we can be and love on them like crazy. Here are some things that helped me to prioritize self-care. I hope they can be of some help to you, too! You matter, and you deserve to be taken care of. 1. Make a list of things that fill you up. Maybe it’s reading, or exercising, or sleeping, or blogging. Maybe it’s something totally different. Whatever it is, you need to pinpoint it. 2. Communicate to your husband, family, or friends that you need a break. And don’t feel ashamed when you do. Ask them to help you make it a priority. They want what’s best for you, but unless you tell them how you’re really doing, they won’t be able to know what you need. Schedule a time for them to watch the kids. Ideally, make it a reoccurring appointment for as often as you think you’ll need it! 3. Follow through. Unless there’s a life threatening emergency, do not postpone your “me time.” You NEED it! 4. Don’t micromanage while you’re gone. Trust your husband to take care of the kids. Or your friend, or your babysitter. Don’t check in a million times. I promise, the kids will be just fine. I know it’s hard to give up control, but it’ll be good for your soul. 5. Don’t return until you are in a better place. Give yourself the time you need. Don’t rush it. When you walk through the doors and pick up your sweethearts, you’ll look at them with new eyes and a new perspective! I’m Amber, a 28 year old stay-at-home mom to three sweet kids. 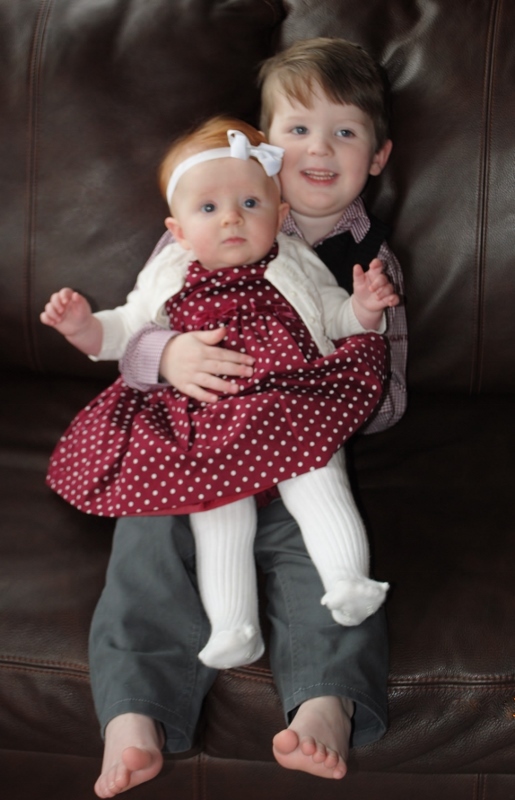 I have a two-year-old son, one-year-old twin girls, and we’re expecting Baby #4 in September! God’s grace is the only thing that gets us through each crazy day! I’m passionate about encouraging moms to prioritize self-care and take time to fill ourselves up by pursuing Christ. When we’re full, we can love on our families like crazy and be the moms we’ve always wanted to be! The gray presses down with two hands on my shoulders. I sing nursery rhymes and dutifully remove grape stems. I lay my girls down for their naps, thankful that they are resting but loathe to let go of their little hands. Sometimes, parenting is lonely work. Not because I am alone (I am RARELY alone), but because day-to-day, it’s hard to see anything change. Diapers get dirty at regular intervals. The princess dresses are out of the toy box by 9:45 AM every day. We eat off the same silverware, drink from the same glasses that then need to be washed. And washed. And washed. Routine is beautiful. Routine is tiring. My husband leaves for work at the same time every day, carrying the same coffee mug and rugged leather briefcase. My parents have farmed the same dirt since they were married. I have friends who have worked for the same company for over a decade. And I think we all feel it. The weight of sameness. The funny thing is this – different is rarely better. But I don’t always believe that. I believe that so and so’s recent trip to a tropical locale makes them happier. I believe I’d feel better if my hair were just a different color. I believe what I see in a picture is an accurate reflection of the whole. I believe the untruths, get a little cranky, and then stop doing one very important thing. I quit taking care of my present day self. Do you know what I mean? As in, if I can’t have all the apples, I don’t want any of them. OK. I don’t stop entirely. I eat. I brush my teeth. I try to start the day in clean clothes. But some days, that’s as far as I go. I don’t devise fun games that make my toddler’s face stretch wide in smile. I read stories without doing the voices. I slap turkey melts on lunch plates for the third day in a row. I let sameness overwhelm me, body and soul. I think this applies to more than just parents and children though. It’s about the way we all live in relation to one another. 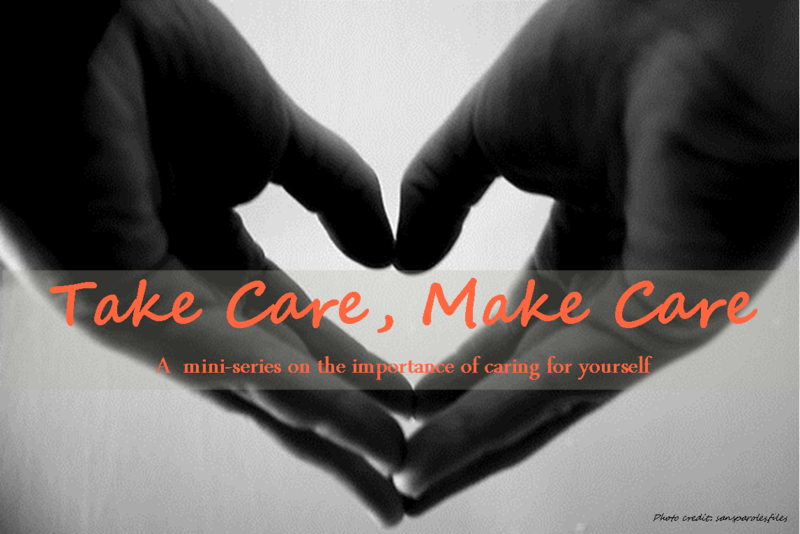 Caring for ourselves makes us apt to be kinder to the world around us. Why? Because caring for ourselves makes us feel good. And when we feel good, we act accordingly. At the risk of you thinking I’m a hedonist, I’m going to share three almost fail-safes that make me feel good, consequently making me a better spouse, mama, friend, co-worker, and fellow passenger on this earth. We all have to eat. Every day, three times a day (if we’re lucky.) But I’ve noticed that what I eat determines how I feel. There’s a whole pile of science behind this that I’m not going to go into here, but straight up, I feel better when I eat yogurt and berries and scrambled eggs for breakfast than when I eat cereal. I like cereal. Don’t get me wrong. Cereal is easy. But that’s the problem. When we start eating food because it’s easy, we stop caring whether or not it’s actually good. And if it’s not good, well, what’s the point? Good food doesn’t mean difficult food, and I think that’s what derails most people. It’s just about having the right ingredients. If you want to make an amazing lunch, you have to have more in your kitchen than peanut butter and jelly. So sit down. Make a list of foods you like to eat, foods that make you feel energized, foods that are colorful and bright and exploding with flavor. Then hit up the market. It’s a first class luxury to have a place that sells mangoes, peppers, chard and Gouda just miles from our homes. Take advantage of it. When we get bored during the afternoons, my living room turns into a disco. We can stream Pandora through our TV, which means that on any given day you’ll find us rocking to Raffi, bebopping with Billie, or pretending we have club moves like the Black Eyed Peas. Sound crazy? It probably is. But music with a beat can immediately perk me up. It’s like a mental knuckle-crack and shoulder roll. Suddenly I’m out of my own head. I’m being silly with my daughters, swinging and twirling, boogieing and laughing. I used to do this at work too (not the dancing part – Lord help us). I’d bring an ear-bud and plug it into my phone, and then delve into my next project with renewed gusto. Music is like a mental reset button, and it’s as easy as pushing play. I’m no minimalist, but I do like keeping my possessions pretty basic. I buy what I love, and then I use the heck out of it. At this stage of life, I’ve learned that “stuff” doesn’t make me happy, but quality and usefulness do. So use what you love, and love what you use. If something in your cupboard or drawer annoys you, start a thrift store or garage sale box and pass it on. Buy what you know you need, and then take pleasure in using it day after day. I recently found a really great website called Raise.com that lets me sell old gift cards and buy new ones at a discount. Someone could probably film an episode of Hoarders on the way I collect gift cards, so I was stoked to find a way to sell unused cards and make some cash, or replace them with cards that got me closer to a new item I needed. Check it out sometime. It’s a great way to get use out something that otherwise just sits. Trust me when I say that I know life is busy. No one really has time for extras. But taking the time to do something that brightens your day usually means you make someone else’s day brighter as well, simply by virtue of your own happiness. And isn’t that how we’re meant to live with one another? With kindness, with patience, and above all, with care?